Luxury Beach Front Single Family House. Incredible See-Thru Walls! Stunning Vista: Breezy open floor plan ideal for both relaxing and entertaining. Two stories of panoramic living--family room overlooks the Gulf and flows directly onto the beach. Master bedroom opens onto a veranda that directly overlooks the Gulf. Second bedroom upstairs opens onto a large porch that fronts the Inter-coastal waterway. Beautiful Throughout: Modern kitchen complete with Sub-Zero refrigerator/freezer. Modern washer/dryer in separate laundry room. Wireless internet throughout the home. Premium movie channels available on all TVs. Laundry room with full sized washer/dryer. Loved the chaise lounges, the comfort of the home, the great supply of clean towels and washcloths. Easy living on the beach, clean, modern and everything needed to relax! Great location. Beautiful vie. Clean inside and out. This is a wonderful getaway for couples, family and friends. Looking forward to returning soon. Sometimes your are really surprised when a vacation stay meets all of your expectations - this was one of them. This house was absolutely incredible. From the location to all of the amenities. The pictures don't lie. The bedrooms were fantastic, the kitchen totally rocked, and the views and the beach never got old. Gabrielle and Harmony made the place seem just like home with Harmony giving us a total walk thru and explanation. It's easy to see that the house is always kept clean and updated. The location to the beach is priceless and the location to any type of eatery whether fancy or plain is immediate. plenty of places and things to do, all within short distances. This is one of those vacation home where you just can't go wrong. I almost don't want anyone to know about it because I always want it available to us whenever we wish it. Book it and enjoy!!!!! Loved the house. It was a wonderful week for our family. The house had everything we needed. The high quality beach chairs were an added bonus. We spent many hours there watching dolphins and soaking in the sun. The house was also perfectly located with the intercostal on one side and the gulf on the other. Also close to many great restaurants like Villa Gallace and Columbia. Great relaxing week for our family. We did not want to leave. P.S. almost forgot the sunsets.....amazing! This property is well maintained and has a fantastic beach front view. You can walk the beach for miles and the sunsets were breathtaking. Close to St. Petersburg, Tampa, and Clearwater so there is so much to do and so many great restaurants nearby. We visited Johns Pass and Dunedin, two great beach towns with shops and restaurants. There are three theatres in the area so we were able to get tickets for two Broadway shows. Staff was very attentive and greeted us upon arrival. The only disadvantage was the air conditioning. The temperature could not be adjusted below 74 degrees. On warmer days, the house was warmer then we would have liked. We'll return if the a/c is upgraded/changed. All and all, we had a great vacation. Although this is the 1st time we have had a Guest suggest they needed a lower temperature to be comfortable, we have decided to adjust the temp to allow a low of 69. It is very important to us that every visit be as perfect as possible, both inside and out. Beautiful Home! Great Location! Great to work with! Spent the month of January in this beautiful home! The house was clean and looked exactly like the photos. The house had all of the items you would need for day to day living on vacation! Location is great with many restaurants and bars in walking distance and just a short drive to Tampa, Clearwater or St Pete Beach. We will be back! Known as the 'Narrows', this property is both directly on the Gulf and the Inland Waterway, providing full water views from virtually every area of the home. 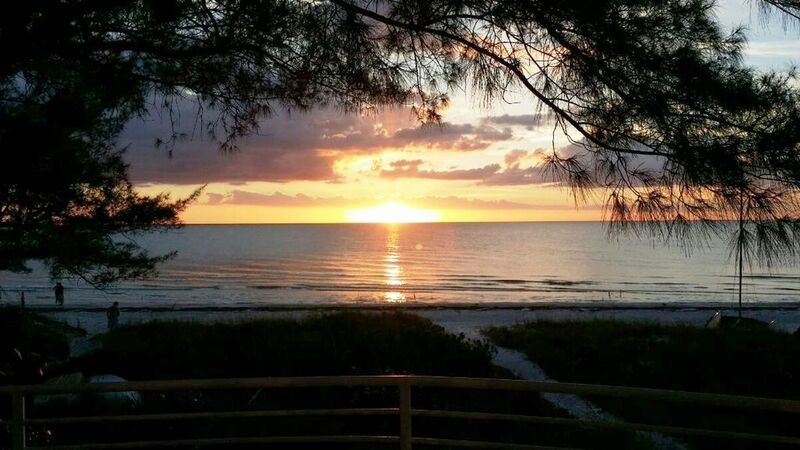 Located 3 miles south of Clearwater and 5 miles north of Treasure Island, your home is the closest beach to Tampa airport while also secluded from the vacation crowds. No pets $250 cancellation fee if prior to 90 days of arrival. No refund within 90 days.